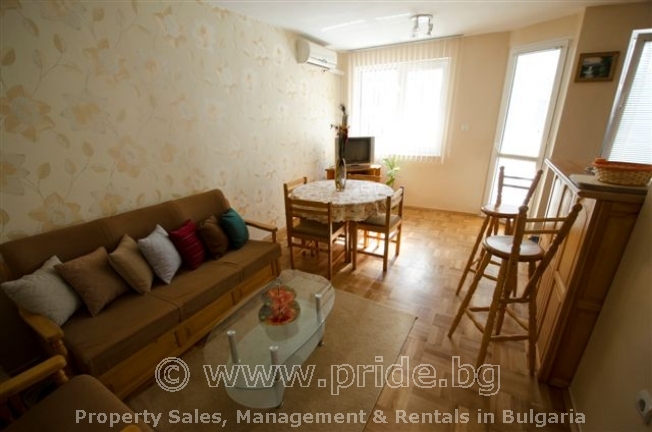 This long term rental apartment is located right in the heart of Varna, the gem of the Black Sea. 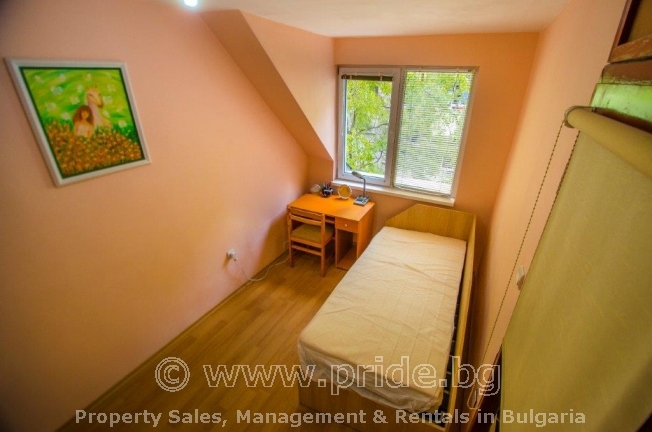 This accommodation is ideal for both city breaks and beach holidays, being just 15 minutes walk from the main beach in Varna and 10 minutes walk to the main pedestrian street of the city and the Sea Garden which is Varna’s largest and most famous park. It runs along the sea and beach for the entire length of the city and is filled with visitor attractions such as a Dolphinarium, planetarium, Natural history museum, zoo and aquarium. In the summer the sea front comes alive with the seasonal opening of restaurants, bars and discotheques. Off-season there is still plenty to do - all the main attractions operate all year round. The Chataldja Market is very close to the apartment where you will be able to pick up most of your goods or if you prefer there are also local supermarkets and different shops, pharmacies, etc. Even the main hospital in Varna is across the street. It is surrounded by everything from attractive fruit and flower markets, stylish restaurants, trendy cafes, bars, boutique style shops, the list is just endless. For all you shopaholics out there this could possibly be place for you!! With the city centre being right on you door step you could literary shop until you drop…. 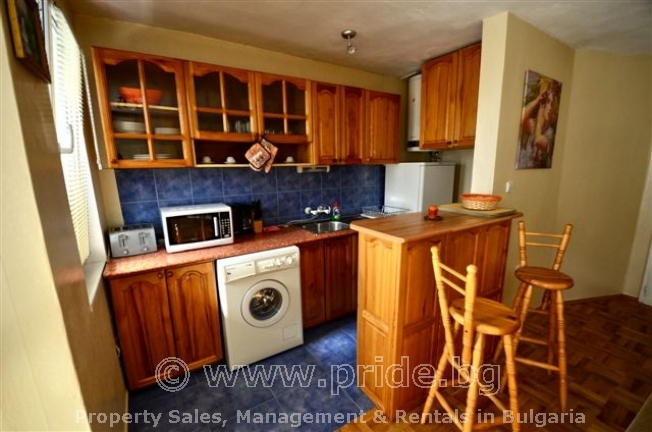 This two bed roomed apartment is located on the 3rd floor and it offers a large open plan living room / dining area with a sofa, dining table, TV and coffee table. 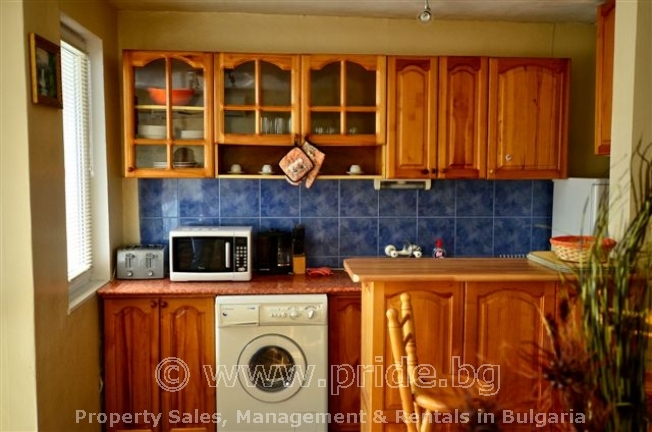 The kitchen is well-equipped with fridge, oven, microwave and washing machine. 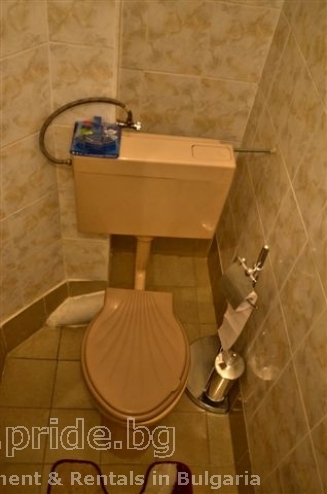 All this should help you settle you in to this quite remarkable property. The first bedroom has double bed and second one could be used also as an office or storage room. The bathroom has a WC, wash basin and a shower cubicle. 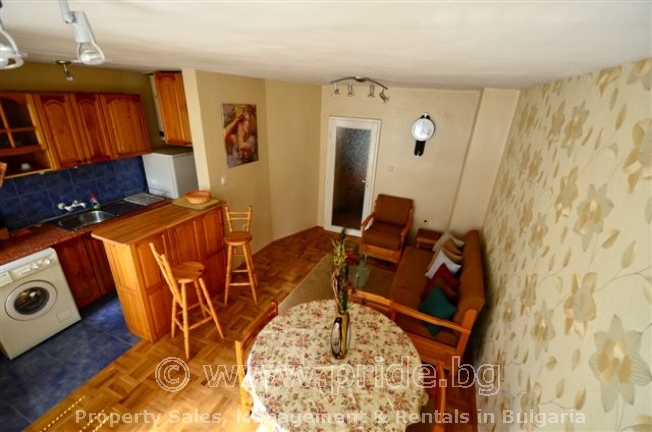 The apartment is air-conditioned, which can also provide heating if necessary. The public transport is well organized in this area. The resorts of Golden Sands, Saint Constantine and Sunny Day, are just a short bus away and the bus stops are very close to the apartment building. For special offers please contact Pride\'s team!